The Norths biggest Drag Competition is Back. This week the final in Boulevard Show bar. Judges Miss Rory, Penni T and guest judges From Londons West End David O'Reilly Credits including Grease, Book of Mormon, Benidorm ( tv) and Lady Windermere's Fan with Jennifer Saunders. 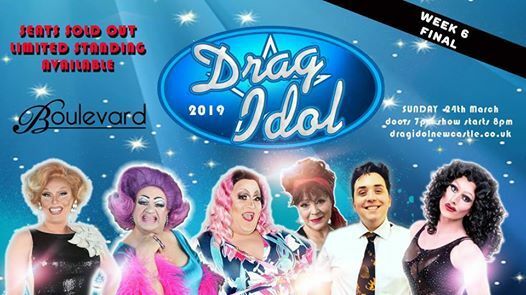 Plus special guest judge Harriet Thorpe and star from tv and the westend, credits including Absolutely Fabulous, Wicked and Mamma Mia, plus Boulevards Danni Dee. As well as the finalist there will be some surprise performance. 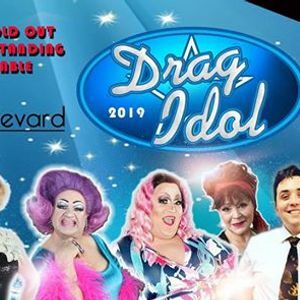 Over the past few years, it has become quite the social media sensation and Drag Idol Newcastle is ready for its 11th year of being fabulously entertaining. With a grand prize of £300 cash and to perform on the main stage in front of 35000 people at Newcastle pride.Also prizes from our sponsors. 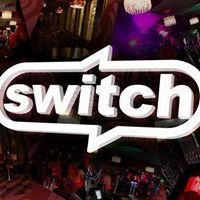 The final takes place in Boulevard on Sunday 25th March 7pm until 11.15pm (approx, this is a live show so it could over run). and also direct from Boulevards box office.